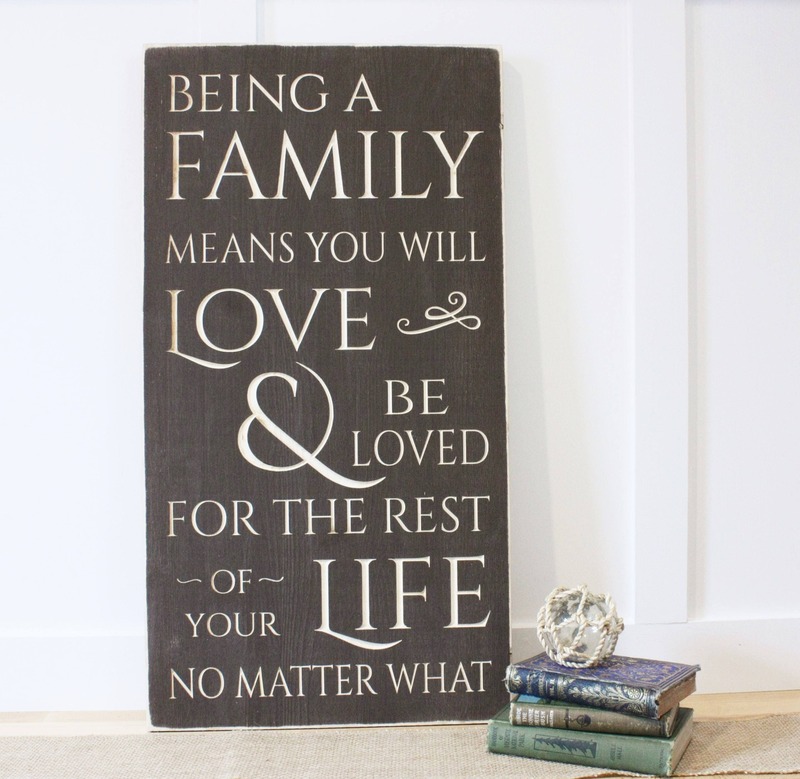 This sign would make a wonderful Mother's Day gift! Like all our signs, this piece is handmade out of pine wood and painted in the color of your choice (see last photo for available colors). 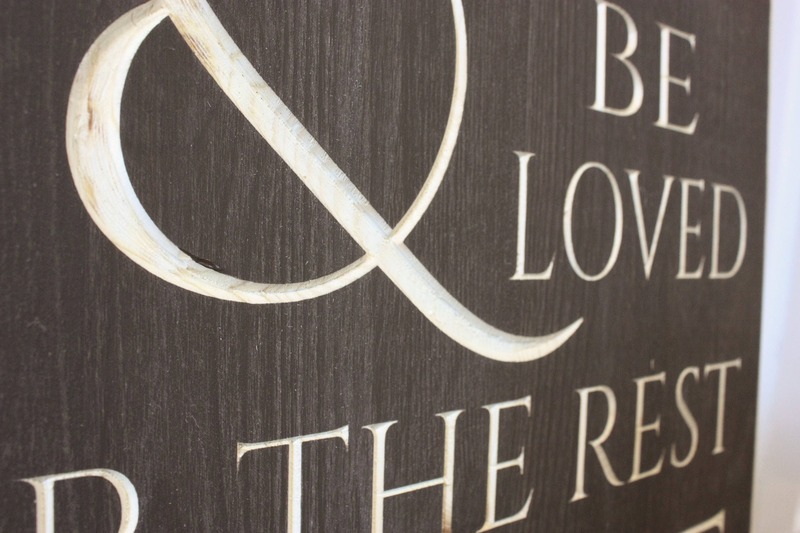 Then we carve the letters into this sign, leaving the words the natural pine color as shown. Background color in the listing photo is espresso brown. Need another size? Send us a convo and we'll be glad to work with you! Edges of sign are lightly sanded to give a rustic look. Sign will arrive ready to hang using the attached sawtooth hook. Absolutely LOVE IT! I cannot wait to hang this in my living room. Excellent craftsmanship!!!!! !